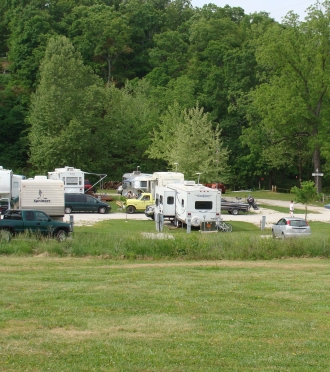 We feature an RV park with 42 Full Service sites. (30 and 50 AMP) Fire rings and picnic tables. We have a playground for children as well as a stocked pond for catch and release. Other amenities include a bath house and laundry facilities .